Prepaid Mobile broadband lets you use your laptop, tablet or smartphone anywhere there is mobile data coverage. Most providers give you a choice of using a either USB stick modem that works with single device, usually a laptop or a mobile hotspot (image) which lets multiple (typically up to five) WiFi equiped devices (phones, tablets or PCs) share a single connection. Not surprisingly most of the best values use the Sprint, T-Mobile and Cricket networks which also have the smallest coverage footprints. Be sure to check out the coverage maps to be verify that you will have coverage where you need it. Here's a table summarizing the current offerings by the major US mobile broadband providers ordered by network. 1 H2O Bolt, all plans: First half of monthly data at LTE speeds, second half at 128 Kbps. 5 T-Mobile plans include no-extra cost roaming in Mexico and Canada. 6 Data throttled to 1 mbps unless $4.99/month Speed Boost add-on is purchased. 9 Add-on Data Packs 1GB//30days/$5, $2GB/30 days/$10. 10 Data never expires, $3/month access fee. Updated 3-July-2018: Added Red Pocket, verified and updated plans and pricing for all carriers. I have been waiting for 2 months for my refund, and the best answer I could get was that they didn't know, maybe another 10 weeks? I suspect that they don't have enough cash on hand to refund all of the customers requesting their money back...is probably a matter of time before they shut down entirely. I'm getting crosseyed looking at all the diff prepaid alternatives. I'm planning to visit a friend in the U.S. who lives in Worthington, Indiana anc we will be camping at Carbondale, Illinois too. Staying for 2 to 3 weeks. Need to use Skype and Facebook Messenger to keep in touch with loved ones back home while on vacation. Could you kindly advise me which prepaid Usb internet provider/s wld be best for me to consider that hss good coverage both in Illinois and Indiana? Outside of Chicago, where all four US national operators work well, I have no personal experience with coverage in Illinois and Indiana. There are links to each carrier's coverage map in the table in the post. Has anyone used the T-Mobile 4G Mobile HotSpot "$129.99 HSPA+ 4G" (as mentioned above) with the "Web Day Pass" at $1.49 a day? I want to know if thay will work together before I buy the HotSpot. I used it but returned it after a few days because it was quite inferior. Great info, nice chart, very helpful. Virgin Mobile's prepaid broadband USB adapter seems to have a good plan with a 10 day plan available for $10. Great for trips or short vacations when you want to use your laptop. I am not sure how great the speed is, as I am still waiting for the device to arrive. Wal-Mart sells fill-up cards to add more days/data for cheap. There is a $40 plan for 30 days that has faster speeds, then ramps down after so much usage. That is correct the $1.49 Web Day Pass was discontinued and replaced by $2 2G and $3 3G Day plans. You can use the $2 or $3 per day plan in a Tmob phone that has the mobile hotspot feature. You get 200mb per day full speed. Congratiolations to your great website! It´s great for tourists, who are interested on mobile internet in the United States! I´m looking forward to my holidays in Arizona, California und Nevada. Unfortunately i couldn´t find all answer about my questions. We have four unlocked mobile Devices (iPhone4S, iPad 2 Wifi, HP Touchpad, HTC Desire HD) which we like to use on the mobile Internet. 1. Tethering is not allowed on the GoPhonePlan, so I think the AT&T Mobile Broadband Plan für 50$/1GB would be fine for us. How can I buy this plan? I don´t have a U.S. credit card. Are there top-up-vouchers beeing sold? 2. Do you think I need another Mifi Router to use 3G/HSDPA or will i just be fine with 1900 Mhz? 3. How do this CDMA-Mifis work? Are they locked to one provider or can i just buy one on ebay and use it? Thanks a lot for helping and sorry, my english ist horrible! You can get a SIM for the Mobile Broadband Plan and pay for the service at any AT&T store. I believe the stores will accept most non-US credit cards but if not you can use cash. You can top up the plan at an AT&T store or online using a prepaid credit card that can be purchased at most chain grocery or drug stores and many gas stations and mini-marts. There's plenty of 1900 mHz AT&T coverage in California and in Reno and Las Vegas NV and Phoenix and Tucson AZ. Most of eastern Nevada is 850 only and also 3G only so you would get no service at all there. A portion of south central Arizona is 850 only but there is Edge coverage which you could use. See AT&T 850 vs. 1900 MHz Coverage Maps (dated but probably generally valid), AT&T Coverage Map. CDMA MiFis only work with the operator they are sold by or for. Great! Thanks a lot Yeswap! I am going to spend a month in Florida. I think cricket $65 plan would be the best for me. I checked the coverage and saw that both Miami and Orlando are covered, but... No matter what zip code I put on the Cricket website, I always get message "We're sorry, Cricket Broadband is not offered in your area." I tried also some Californian and Oregon zip codes - same effect. Miami and Orlando are partner (roaming) areas for Cricket. The broadband devices are only sold and activated in areas where Cricket operates its own network. For example San Diego (zip code 92101). Boy that comparison chart looks like it could have a wealth of info on it. Too bad the last few columns are BLOCKED by the advertising crap and comments on the right side of my screen. Can’t seem to figure out how to get rid of it or at least shrink it down. I see what you mean. It only seems to happen with some browsers and certain zoom levels. It looks fine in Chromium on Ubuntu which is what I normally use. As a workaround, click the "Smartphone Site" link in the top left corner of the page. That version seems to work in all browsers. The truncated table problem should be fixed now in all browsers. If you are still seeing it please reply with browser and OS name and version. You are probably seeing a page that hasn't been updated yet. The current rates on the Internet on the Go web site match what's in the table above. You might want to look at ting.com. They charge $6/mo per device + $60/3GB, data never expires. I don't talk much, but minutes are cheap too (2-3 cents) if you want to talk. They use the Sprint network. Ting can be a good choice for people who fit Ting's pricing model, especially light users and families. However, it's not true that data never expires. Ting has a tiered pricing structure where the more you use the lower the per unit price becomes. For example, the first 100 MB in a month costs $3. Use more and you are are automatically moved to the $13 500 MB tier for the current month. The other data tiers are 1GB - $25, 2GB - $42, 3GB - $60 but they are all monthly, there's no rollover. Voice and SMS work the same way. The smallest voice bucket is $3 for 100 minutes so if you only talk 10 minutes you are paying 30¢/minute not 3¢. I don't think the att mobile broadbands are correct. I have been using broadband plans on galaxy tab 3 GB for $30 for 30 days... Check dataconnect plans. Or may be we need a separate line for this. should add you have to buy them on the tablet or online at att.com search buy a session. 3GB for 30 days is a tablet plan. You can't use it with mobile broadband devices like hotspots and USB modems. It looks like AT&T may have discontinued prepaid mobile broadband plans for devices other than tablets. I can't find them on the AT&T site anymore. Update I found the page for AT&T's prepaid mobile broadband plans. The prices are as shown above in the article. I need to do a piece on tablet-only plans. Very confusing ATT way of presenting things... See here...it would seems the eliminated the low level plans and only kept the 5g/$50 for broadbands devices: laptops/notebooks, netbooks, USB modems, and Mobile Hotspots. But have more choices for tablets. See here. I wonder if the difference is PostPaid Broadband vs Prepaid Broadband. If that's the case then here's the deal: There's now only one choice for laptops/notebooks, netbooks, USB modems, and Mobile Hotspots in postpaid no contract month to month: 5gb/$50 vs 3 choices for tablets in postpaid. For Prepaid for laptops/notebooks, netbooks, USB modems, and Mobile Hotspots the choices are the 3 you have in your table while the tablets prepaid get to enjoy the better choices which are the same as they get in postpaid month to month. Funny...when you go into ATT store they do not have a way of selling you the Prepaid broadband for tablet. Some reps have even insisted to me that they do exist only for Ipad. I always have to tell to give me the SIM only and let me activate it from the tablet or online. Clear Spot Voyager WiMax with $35/mo. unlimited is advertised at 1.5 mp/s as shown, but consistently delivers 1.75 mp/s in my area. Enough for Skype chats and most of the time for movies. Once in a while a movie pauses at times. $50/mo. unlimited delivers 5+ mb/s. Both of these speeds are in a "good" reception area, yellow modem light, vs. green light. I was paying $20/mo unlimited clear voyager 4G until I cancelled. Poor coverage and billing scams. Have bad experience with NetZero4g. Using it rarely and stayed within free limits. Then once bought 500 Mb for $9.95. Understood this as one time purchase. Instead, they started 0charging me $34.95 per month for couple of months without me even using netzero at all. Have only myself to blame -didn't pay attention to credit card bills. The account password will come to the cellphone by text message. Tmobile does not have a way to send it to an iPad at this time. Hi Yeswap, Thanks for all the hard work you put into your site. I visit it quite frequently. I wanted to mention that Freedom Pop has new plans for home broadband service. They have one that's free up to 1 gb (1 cent/mb overage) another for $9.99 that gives you 10 gb at up to 1.5 mbps and the highest plan is $18.99 for 10 gb but you get speeds up to 8 mbps. The overage on the paid plans are only 1/2 cent per mb. My understanding is that these are only for the home router only but pretty awesome prices nothingness. These prices only apply to the home modem. I have the mobile modem and get 500mb free, with up to 6mbps. I am waiting to see their official plans to allow trade-in of current WiMax equipment for LTE equipment when the turn on that service later this year. I read in Fierce Wireless that the speed with the $18.99 plan can be up to 12 mbps. Maybe they will have a speed+ option for the 8 gb plan. They also have a new option within your account for $3.49/month that lets you roll over any unused balance each month, up to 20 gb total. I read somewhere that when Freedom Pop starts offering LTE that you would just pay the difference between what you paid for the Wimax device and the cost of the LTE device. TheVerge reported that last October. A lot can change. They are still in beta test. They had to spend >$500k and counting for FCC cert testing of the iPhone sleeve, which is still not done. If they burn through the equity funding they might just jack up the price of the LTE modem. I have 7 months left to return the WiMax modem, and I should know before then. With the home price plans the modem ($89) pretty much pays for itself in a few month compared to the competition. Not a huge risk for someone who needs an internet connection right now verses waiting a year for an LTE version to come out. The break-even depends on your monthly usage. It might never pay for itself or have a very long b/e if you use a lot of data/month. I just put a Ptel Pay-go SIM into my Tmobile broadband 4G hotspot and clocked 8mbps down and 2.4 mbps up. I switched to my Fios wireless router connection, and the best I could do was 8.3 down and 3.9 up. Do all Tmobile network SIMs work in their wireless broadband hotspots? T-Mobile blocks SIMs activated on phone plans from working in T-Mobile branded hotspots, USB modems and tablets. A T-Mobile mobile broadband plan is required. As far as I know, T-Mobile MVNO SIMs don't have any such restrictions. Thanks. I will use Ptel in the hotspot to provide more mobile data for my wife's iPhone. She uses the Tmobile $30/1500/30mb plan. Virgin Mobile today updated its Broadband2Go Terms and Conditions. There is also a new $10 plan for 10 days of 100MB 3G and and 5GB 4G data. Can someone please tell me why you don't have simple inexpensive prepaid phone plans you can pick up at your international airports that make sense for travelers? I'm about to spend 11 days in the USA on business and really, I can't see the sort of plans that are available in New Zealand and Australia. Even 2 years ago, when I ended up in Sydney unexpectantly due to volcanic ash in the air over NZ, I was able to purchase a prepaid micro sim for my iPhone 4 with unlimited text & local calls, 1 Gb Data and for Aus$30, valid for 30 days conveniently at the airport, when & where I needed it! In NZ you can get similar for NZ19. Last year I picked up a T Mobile prepaid plan micro simm from a store, that cost US$50, for about 10 days use! Why isn't this convenient arrangement available at the airport in LAX or is it now? You have to track down a suitable store or kiosk away from the airport. I haven't been there for 11 months, so has it changed? TripTel is one convenient source at LAX for SIMs. Tmobile now includes 500mb, not 100mb, in their monthly unlimited 4G plan. Their unlimited daily plans cost $2 or $3 depending on data speed. Need an update to add the Karma hotspot... another Sprint 4G option but like the Walmart "Internet to Go" in that the data never expires from the account. Karma only has one plan, and it costs $4/month more than the same amount of data from FreedomPop. You can buy an option from FreedomPop to let your unused data roll over for $3.49. So Karma always costs more. I do not see any reason to add them. I also think Karma should be added. Karma has more than one plan now and 4G LTE starting in December. It's a good option for the occasional user. There's a promotion on the hotspot right now. Your broadband pass has expired and you will be charged $0.20 per MB for all data use until you buy another pass Don.t worry, you will only be charged the $0.20 per MB if you use your Mobile Broadband service without buying a weekly or monthly pass." Tmobile has an informal Pay-Go option for MBB. Interesting change. Thanks for sharing. This might be useful for occasional light usage on a tablet. I wonder how the overage will be funded? If the broadband pass has expired, there would be no funds in the account. NetZero will be selling service on the nationwide Verizon 3G network soon. They just signed a 3-year Vz deal and 5-year Sprint deal for 4G LTE and 3G. Went to the FreedomPop website, they have with purchase of a mobile device, 2GB mo. free with a extra 2GB free for the 1st month. At the check out they charge $3.99 if you want rollover, else the monthly charge is $0.00, so it looks like (unless I am being misled) FreedomPop is now offering 2GB/mo for free? Can the Freedompop Home 4G Internet router be taken and used on a road trip, or does it only work at your home address? It should work anywhere you have power and Sprint/Clear WiMax signal. For use ON the road, you need the Sprint Overdrive 4G-3G or the new LTE modem with 3G. But you will not get a WAN port. Clear is now part of Sprint, can't order a device from them anymore, click on just about anything and your sent to a Sprint website. Looks like Sprint wants you to buy devices with a 2yr agreement. You can activate a Clear device instead. $35-60 to buy a Voyager now on eBay. Clear still offers the same $35 and $50 unlimited plans, but you will have to buy your own Spot or home modem. Does Freedompop allow you to have both a Home router with WAN port, and a portable 3G-4G modem for the road? Yes, you can buy both. Use a different email address for the second account. So FreedomPop does not care if you use the same name, address and credit card # for the 2nd account? I don't know ;-) Go ahead and test that and let us know what you find. The Economist has a fun chart that compares the cost of prepaid mobile broadband around the world. You can also compare the cost as a % of gross national income per person. I believe they only priced the dominant players in the US, Verizon and AT&T. Tmobile has completely changed its Pay In Advance Mobile Internet passes; the table should be updated. T-Mobile plans and pricing has been updated, thaks for letting me know. Fixed, thanks for catching that error. Wait..so with the AT&T GoPhone mobile broadband, you can't bring your own device? What happens if I already own the Unite hotspot (bought before AT&T created this new plan) that AT&T is selling for their GoPhone mobile broadband. Can I not buy a GoPhone mobile broadband SIM card and then activate it with my Unite hotspot? $50/5gb sure beats the $50/1gb that I paid over a month ago for service I needed over a weekend. I'm not sure but it looks like the $50 5GB deal might be another Walmart exclusive deal like Virgin and T-Mobile have where the plan pricing only only applies to devices from Walmart. I'm will contact AT&T and see what the conditions of this deal are. Thanks for looking into this. I wonder if the gophone sim cards for phones can be used in a hotspot. It'd be nice to get on the new gophone plans since paying the same amount for more is always good. Dennis: T-mobile ZTE 4G mobile hotspot at my local Walmart now come with (what I believe is) 5GB of free data good for 3 months from date of activation. I was trying to get a photo of the Mifi box, but because of the high theft (aka shrinkage) the box had a anti-theft device that covered the box. Overage for AT&T GoPhone Mobile Broadband is $10/100MB for $15/7 days/250 MB plan, $10/1GB for $50/mo/5GB plan. This is a great plan for a short-time occasional use, because it lets you use LTE, and tethering with iPad/iPad Mini (even for a week-long plan) and some Android devices (not all, though). Can be also used with iPhone and smart phones for data-only uses. And, it is much more economical than AT&T's Prepaid DataConnect plan ($50/1GB). Thanks, you're right about the overage rates. I've corrected the post. BTW, GoPhone Mobile Hotspot plan IS NOT Ealmart Exclusive. and click "Activate Mobile Hotspot" near the upper right of the page, then, select GoPhone® Mobile Hotspot and proceed. I used the AT&T Elevate IMEI number to activate my unactivated AT&T SIM which I already had purchased through eBay. After activation, I tried the activated SIM with Elevate,Unite, Original iPad Mini (Verizon version), iPad Air (T-Mobile version, though it would not matter which version), iPhone 4, Galaxy Nexus, and Nexus 7 LTE. All works. The tether option is hidden for Nexus 7 LTE and did not work with iPhone 4 (and presumably all iPhone's), though. The APN is broadband. I mean, "NOT Elmart Exclusive" -> "NOT Walmart Exclusive". So, "Use own Device" for "AT&T GoPhone Mobile Broadband " is a definite YES. Nice, thanks for reporting your experiences. It sounds like you can active the GoPhone Broadband plan using any AT&T SIM and the IMEI from any AT&T Broadband device. Actually I wonder if you even need a Broadband IMEI or if you can use any IMEI? Oh...nice. Good to know that one can activate the GoPhone mobile broadband plan on BYOD. SWEET. I guess I'll have to purchase a new SIM to test it out when I need to use my hotspot again. You need to update the DataJack plans. They offer a pay as you go plan for $4.99/mo + 100mb free, $9.99/mo for 250MB, $29.99/mo for 2GB and $49.99 for 5GB. I've updated the Data Jack plans and rates. Thanks for letting me know. Is there any way to tell how much data you've used on the Red Pocket 4G Mobile Internet plans? The 1GB over 30 days for $10 sounds like a pretty good deal. Typo: Millennicom provides Verizon LTE, not WiMax. Millennicom price adjustment effective May 1st to $89.99 for 20GB. Thats more than a 25% increase. You would have to ask AT&T why they have two different brands of prepaid mobile broadband with wildly different pricing. Thanks for pointing out the H2O Bolt discrepancy. It looks like H20 replaced their tiered Bolt plans with a single $50 unlimited plan quite a while ago. However, I don't know how "unlimited" it really is. H2O has a history of undisclosed throttles and caps on their phone plans. According to one Amazon review the Bolt plan is throttled to unspecified speeds after 1GB. Sprint has said that WiMAX will be shut down "by the end of 2015" which sounds like it could happen at anytime. But based on Sprint's iDEN shut down which they said would happen "by June 30,2013" and actually occured at 11:50 PM, June 30, WiMax will probably be around until 12/31/15 which is 20 months away. WiMAX based services tend to be the least expensive so they can still be cost effective even if you will have to buy a new hotspot in less than 2 years. FreedomPop is blowing out their WiMAX devices for $15-$20 so there's not much of a risk. Thanks, I've added it. Someone on DSLReports says ChitChat cut them off after 10GB. I'm not a fan of companies advertising unlimited when it's not. Hello anyone know what I can do I want pay as you go net service but I use about 150GB every 30 days and I cant find anyone to cover that large. That much mobile data will likely cost you hundreds of dollars per month. If you use most of your data in one place wired broadband (cable or DSL) should be under $50/month. You might be able to use Clear.com. Buy a used Clear mobile router and sign up for unlimited Sprint WiMax for $55/month. Coverage very spotty, so check that first. Note 10 was a mistake. It doesn't exist. I haven't heard anything about New Cricket having broadband. I wouldn't be surprised if they do. There's a demand for it and dealers will want to be able to offer it. The Cricket CDMA network will be shut down around the end of 2015. Clear does not cut us off, and they do not throttle on the $55/month plan. Is the Clear unlimited plan still available to new users? 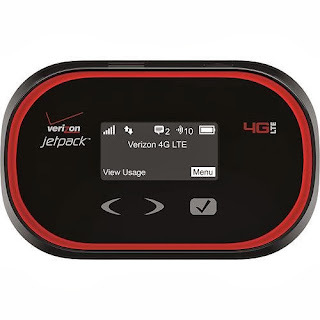 Can I guy a Verizon MiFi or a Sprint Mobile Hotspot device from craigslist and then purchase a plan from the provider? Or are should I be concerned about the device having a bad esn like some stolen cell phones do? - Thanks. You can activate a used Verizon hotspot on Verizon prepaid or postpaid mobile broadband or a used Sprint hotspot on Sprint prepaid or postpaid mobile broadband. Like phones, hotspot ESNs can be bad if the device is reported lost or stolen or the previous owner didn't pay their bill or ETF. Hi, red pocket is now offering 512 MB mobile broadband refills for $5. Sim cards are a dollar with the promo code "summer". Does anyone know if the mobile broadband sim card works in a smartphone and if the $5 refill lasts for 30 days? I just tried ordering a SIM with the code and got the error "Coupon code "summer" is not valid"
RedPocket mobile broadband SIMs will work in phones for data only, no talk or texting. The $5 plan is a 30 day plan. The summer promo code is good on SIMs for Red Pocket GSMA (AT&T) phone plans. It doesn't work with the mobile broadband SIMs. Seems as though this service might only be good for the light user (despite their "unlimited" monthly plans. No audio or video streaming allowed? Really? D. Red Pocket Mobile™ service plans may ONLY be used for the following purposes: (i) Person to Person Voice Calls (ii) Text and Picture Messaging and (iii) Internet browsing through the Red Pocket Mobile™ web service. Red Pocket Mobile™ service MAY NOT be used for any other purpose. Examples of prohibited uses include, without limitation, the following: (i) continuous mobile to mobile or mobile to landline voice calls; (ii) automated text or picture messaging to another mobile device or e-mail address; ****(iii) uploading, downloading or streaming of audio or video programming or games;**** (iv) server devices or host computer applications, including, but not limited to, Web camera posts or broadcasts, automatic data feeds, automated machine-to-machine connections or peer-to-peer (P2P) file sharing; or (v) as a substitute or backup for private lines or dedicated data connections. This means, by way of example only, that checking email, surfing the Internet, downloading legally acquired songs, and/or visiting corporate intranets is permitted, but downloading movies using P2P file sharing services and/or redirecting television signals for viewing on laptops is prohibited. A person engaged in prohibited uses may have his/her service terminated without notice or a refund. I am looking for a simple plan that allows me to access the web if I am somewhere that doesn't have Wi-Fi, like Costco or on the road and I'm faced with construction(maybe once a month). I would just need access to google something. I won't be downloading music, posting anything, etc. Good choices for occasional light hotspot usage include AT&T GoPhone ($10/month 100MB), T-Mobile ($10/month 1GB) or Straight Talk ($15/month 1GB Verizon network).You can activate and suspend the service as needed. With AT&T and T-Mobile the SIMs will expire after a period of inactivity (90 days on GoPhone, one year on T-Mobile) but you can activate a new SIM easily. To comment using a name choose the Name/URL option. The URL is optional, you can leave it blank or enter you Twitter, Facebook, blog URL if you have one you want to share publicly. It looks like the minimum on AT&T GoPhone is $15/month 250MB. I don't see the $10/month 100MB as a choice. Actually it's $15/ for 250MB good for a week (not a month) with the option to add more at $10 per 100MB (the overage rate). I've added semi-colons between the plans to make it clearer that the overage rate applies to the preceding plan. Any comments on Ready Mobile? I saw some devices being sold on eBay which is how I found out about them. Apparently they use Sprint network. Verizon. They are now $89.99 per month for 20 gig. Still considered by most as the best deal for anyone who needs large amounts of data. Thanks for letting me know. I've updated the post with the new rate. Presently, I'm using this absolutely horrible Virgin Mobile Stick....the worst investment I've ever made. It doesn't play video, and even If I want to surf the net, a lot of times, it just takes so long to download and connect. Its insane. I've been told that I can use my phone to connect to the internet using Cricket. Anyone with experiences with this. I don't mind paying $60 a month for cricket, because anything is better than what I have now. I use cricket wireless and I can attest that they are good. that being said cricket is owned by AT&T so you need to have good service in your area. also my phone is unlocked and bought directly from the manufacturer so there is no bloatware prohibiting me from using my phone as a hotspot. If you choose to go that route I suggest not buying the phone from cricket, instead buy one from the manufacturer. I recommend the Motorola G first generation about 200 from the Motorola store. why don't you update the list to add Karma Go? Millenicom will cease offering Verizon data effective November 1, 2014. Dennis, you may want to update your chart to delete the Millenicom offering. All Millenicom/Verizon accounts will be shifted to Verizon who will give transferred subscribers a choice of new plan options. Had Millenicom a few years ago, but left them for AT&T LTE postpaid service for a variety of reasons. Agree Karma Go should be added to the list. It's an interesting offer with a Sprint LTE mifi device. Looks like they are not pushing the social network data bonus thing as much though. "Effective today, December 30, 2014, Chit Chat Mobile will no longer support the activation or replenishment for broadband services. Thank you." Hi, Red Pocket is actually 3GB at 4G, then unlimited beyond that at lower speeds for the term that you pick. For example, I just bought 30 days for $30. The first 3GB is at 4G and is pretty speedy here in Vegas. Will let you know about the 'slower' speed later. How much data per month does a Tivo DVR need just for guide data and whatever else it needs to run? Is there any problem connecting a Tivo to one of these hotspots? Can the plans that support bring your own device and offer SIMs be used in phones without a hotspot device? That depends. RedPocket's broadband plans work with phones. T-Mobile's don't. I don't know about AT&T's and Simple's. Is it still the case that T-Mobile's broadband SIMs do not work in a phone? One excellent plan not on the table is Harbor Mobile's $15, 5GB LTE plan. The Harbor Mobile $15, 5GB plan includes Music Freedom, free roaming in Simple Choice countries and unlimited slow data after 5GB. It works in tablets and hotspots, but not phones. I just talked to them. Their services are only available for T-Mobile Branded Devices. Can you do a review of prepaid (non-mobile) broadband as well? I am so confused. Technology has apparently passed me by. I never really paid attention to theses hotspots but now I have to because Sprint has gobbled up Clear. i just received an e-mail saying that as of Nov. 2015 my modem will no longer work and Clear is kaput. Right now I have pay as you go plan from Clear. Hopefully some better options will pop up before November. 1. Register a business name like "Joe's Cellphone Rescue" with your local government. 30-60 min. 2. Sign up online for a federal tax ID. 15 min. 3. Check your state requirements. Most do not require registration unless you will sell things and collect state sales tax for the state. - #MusicFreedom - Unlimited music streaming that doesn't count against your 4G LTE data on services like Pandora, Google Play, iHeartRadio, and more. - No domestic data overages. This plan will not work in a cellphone unless the network fails to identify it as a phone. Do they require a business or employer tax ID number? As part of your comparison table, you should point out the max speeds available on each carrier. For example, Cricket offers 4G LTE (on ATT's network), HOWEVER, it is crippled to 8mbps max download speed. On the other hand, using ATT service on the ATT network, you can easily get above 20mbps on 4G LTE. Cricket doesn't offer mobile broadband services. None of the broadband providers mentioned in this post are known to cap speeds. I stand corrected, it s a new device with a very similar name to the old one. I clicked "Sprint data cards and hotspots." Most devices have a choice of no-contract installment plan for the device, or 2-year service plan with a discounted device; I don't know if the no-contract qualifies as prepaid. Adding on 7.50 for the device, the first three are not great (and "monthly charges and equipment costs exclude Sprint surcharges, taxes and fees"), but 30GB for $117.50+ is a surprise. The Family Share Pack also has some deals at the high end. There's also a $35 activation fee. When I had Sprint many years ago taxes and fees in California were $10 and change on a $30/month plan. I'm sure they are higher now. Any opinions on Kharma Go which is finally shipping? It's a $150 hotspot on Sprint's LTE network and $14/GB for data which does not expire. True pay as you go data. Can anyone tell me the least expensive laptop internet service I can get. I had Netzero at $20 for 2GB a month, but they've upgraded and now I am paying $20 for only 1GB. I don't want a phone, I just want to use my laptop. Walmart hasn't had the "Internet on the Go" hotspots on their website for quite awhile, just the refill cards. You might find them in stock at a store, but I see two hotspot models for $29 & $39 currently on the www.internet-go.com website, with 1GB of data included! I've used an older model for a few years with no signal issues anywhere I've been in the U.S. and found it is plenty fast enough for my occasional use away from home to check email, Google maps lookups, or web sites for news, rarely using over 100MB a month. Much cheaper than a monthly cell phone data plan. The Karma Refuel plans look a bit cheaper, but the hotspots cost much more and I don't know if the service would be as good. I think you should point out that T-Mobile is 'unlimited' on all their 'auto-pay' plans. The limits are for the high speed level. Speeds are throttled after that. But for my use (in car mapping, email, web browsing) that's more than enough. Big difference. I Seem to get more confused the more i read about mobile internet! Looking for mobile internet solution for a Family of 5 traveling in Florida for a 2 week period in the Fall of 2016. We need it for youtube entertainment and general web usage as well as e-mail ! Just study the table above. Slowly, if necessary. It's all there. The plans on this page will work with iPads and and your Mac Pro if it has a cellular radio. They don't work with phones. See Updated: US Prepaid GSM Voice, Text and Data Options For International Visitors | Prepaid Phone News for my recommendations for international visitors. Study the maps too, Mette. T-Mobile (and MetroPCS) covers half of Florida, so you have to be careful where you go. Sprint (with Boost and Virgin) is the same way. AT&T (with Gophone and Cricket) and Verizon cover almost all of the state, and are a much better bet for usability in Florida. I'm using Virgin Mobile Broadband on my Windows 7. It's $50 a month for 5 gigs of high speed- after you run out they throttle speeds for the rest of the month. Is there anything out there for $50 a month (or less than $50) that offers more gigs? we've been using the $30 tmobile/walmart 5GB plan in an older unlocked brightspot phone for temporary home internet wifi hotspot successfully this month. Not sure if they may catch on and cut us off, though, as I'm not sure its really allowed? Close to the cheapest option out there right now, espically considering we didn't have to buy a new dedicated device and instead just took this old phone out of the drawer, plugged it in, and dusted it off. Its on android 4.3, so maybe less locked down than current android versions for tethering. Hello, I'd like some information if you could kindly help me! I live in Brazil but I have a home in Miami, FL. But I don't like the idea of paying monthly internet plans with contracts since I only go there 3-4 times per year. So, I've done some research online to find a service that could allow me to have a Wi-Fi internet at home and recharge it only when I travel to Miami. Would you be able to recommend me this kind of service? Thank you very much for your attention!! You best bets are probably T-Mobile's week or month pass or AT&T GoPhone's monthly packages. Buy them as needed at T-Mobile or AT&T stores when you are in the country. They don't auto renew so you can let the service suspend when you are back in Brazil. What's the upload speed on these mobile broadband plans? Would any of them support uploading surveillance video? It wouldn't be used for constant streaming just ocational check-ins. LTE upload speeds average between 2 and 5 Mbps. Can an unlocked GSM phone be used as a mobile hotspot with a T-Mobile broadband plan? A few can, the 1st gen Moto G LTE is one that has been reported as working on hotspot plans. T-Mobile blocks most phones from working on broadband plans. Why would they do that? Broadband plans cost more than phone plans anyway. Do FreedomPop Sprint-based broadband plans allow the data rollover add-on? Data rollover is a a $3.99/month add-on service on FreedomPop. It lets you roll over up to 500 MB/month of unused data, rollover data is capped at 20 GB. For details of FreedomPop plans and services please see our Prepaid Operator Profile: FreedomPop. This post should mention that all Millenicom plans include zero-rated music streaming and the $35 and higher plans also include data rollover and zero-rated video streaming. All features that the T-Mobile prepaid plans don't have. There should also be a note somewhere about Millenicom's $15 activation fee. T-Mobile prepaid hotspot plans do have zero-rated music streaming as well as unlimited throttled data after the high speed allotment is used up. But they do lack data rollover and zero-rated video streaming. Both T-Mobile and Millenicom plans could use some notes. Maybe there should be two tables one for plans with rollover data and another for plans without. The H2O Bolt website has a limited time offer of 20GB for $50, all data at LTE speed (better $/GB than their higher-priced plans, which appear unchanged). "The H2O Bolt website has a limited time offer of 20GB for $50, all data at LTE speed (better $/GB than their higher-priced plans, which appear unchanged)." I think that's worth a separate item in this site, hope the editors agree. That's a better deal with Cricket... and from what I understand, a better un-throttled network experience with better ping, too. The 20GB is a limited time promo. I believe it ends March 31. After then the plan reverts to 5 GB LTE. Not as good as it sounds then. The Net 10 Wireless block list a 500 meg/30 day/$10 plan but going to the link shows a 500 meg/14 day/$10 plan. The former would suit my purposes, but can I assume it doesn't exist? 30 days was a typo, unfortunately. Thanks for pointing it out. Verizon Rolls Out 1 GB Plan for Non-Phones - https://www.verizonwireless.com/plans/single-device-plan/1gb/ $10/month with no device access fee. You can add travel and/or international talk, text and data plans on My Verizon, after you activate your new device. They have a plan for a hotspot + Unlimited 4G-LTE for $250 for the first year. Second year is $168 as the hotspot is already paid for at this point. They do offer 3 and 6 month plans as well and also hotspots with carrier aggregation (at higher cost). Prices are coming down for data, re what's shown here on Aug 28 2017. Walmart's "TotalWireless" now has 5 GB for $35 (30 days, 1 device) (actually $3910 with taxes, re plans can include phone usage), and $60 for 15 GB (30 days, 2 devices, one can be a phone for example) + taxes. These amounts can be reduced by 5% with auto refill. I am now using the puck and it is awfully slow most of the time, BUT to get rid of ATT DSL will be worth it until something better comes along. And the puck cost me $13 shipped, on special. Getting it up and running was chore due to usual horrible documentation & my unfamiliarity, but no issues so far but speed ... no "hot puck" or resets, etc. Some of the bargain devices were "refurbs" so that may explain some problems folks have. Total also has 20GB for $85 for 3 devices and 25 GB for 4 devices for $100. While not prepaid, AT&T offers the best deal I've seen on wireless broadband service with their home phone/wireless internet device and plans. $40/month for 25GB or $80/month for 50GB. $10/GB overage. The device is $199 without contract or free with a 2 year contract. Service appears to require a $20/month for unlimited calls which may not be needed by many, but the overall cost for data is still quite low even with that expense. AT&T just increased their prepaid data plans. Today I paid $25 into my mobile hotspot account and received 3GB instead of the old 2GB! Also, $50 now gets you 8GB instead of 5GB, and $75 gets you 15GB instead of 8GB. Pcsforpeople.org Unlimited 4g LTE less than $15 a month. PCSForpeople is only for those below the 200% poverty level or currently enrolled in an income-based government assistance program. And, as far as I know, they don't offer cellular phone service so why did you post that here? PCSForPeople does offer mobile broadband via a Sprint hotspot. Also Verizon Prepaid offers an limited Jetpack plan for $65 (with autopay) now.